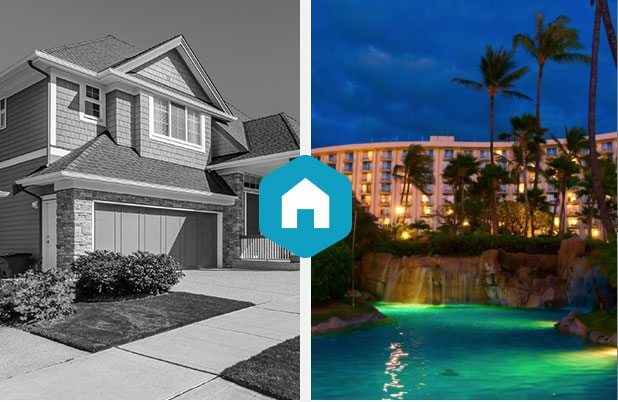 A timeshare resale is simply a timeshare that is being sold by the current owner rather than by a resort or developer, usually at a price point that is significantly lower than the timeshare’s original “retail” value. In fact, by purchasing a timeshare resale (timeshares for sale by owner) on the secondary market, you can save as much as 70% off the price of purchasing that same timeshare directly from a resort or vacation club. SellMyTimeshareNow.com is the most active online marketplace for timeshare resales (and rentals). Buyers, click below to browse our available inventory. Sellers, click below to learn the 5 surprising truths about timeshare resale that every timeshare owner should know. Don't Use Your Timeshare? Learn How You Can Sell It! As the leading timeshare resale company, we make it just as easy to resell your timeshare on SellMyTimeshareNow.com with a full-page, customized web advertisement. Advertising with us is the most effective way to resell timeshare, because it puts your vacation property in front of a global audience of real buyers searching and shopping online. We want you to have the best possible chance of selling your timeshare. Understanding how the timeshare resale market works is the first step. The next section reveals the true state of the industry and what it's actually like to resell timeshare. Selling a timeshare resale is not like selling traditional real estate. While the legal process is often similar, laws regulating the resale of timeshare vary by state and by country. Depending on your ownership type and resort, all your rights may not transfer to the buyer. To ensure that your experience is as smooth as possible, research your ownership online, consult with an experienced timeshare resale company or broker, and work with a licensed closing company. Finding a buyer to purchase your timeshare resale is also more challenging. When you sell a home, you may compete with a neighbor who is also selling a three-bedroom, two-bathroom house, but chances are your property has something that sets it apart, such as a nicer yard or finished basement. When you sell a timeshare, you are competing with multiple owners at your resort who have an identical unit, an identical week and an identical need to sell. Differentiating your property becomes the determining factor in your ability to sell. You will not get back what you originally paid for your timeshare. This is often the most difficult truth for a seller to hear. When you bought from the developer, you overpaid - it is that simple. The total cost of your ownership was marked up to cover timeshare sales presentations, incentives and giveaways. Chances are the salesperson may have also told you that your timeshare would appreciate in value. This is simply not true, except in rare cases at high-end fractional properties. Resale timeshares often sell for only 50% of the original price - some for as little as 20-30%. You can still sell your ownership easily, but you have to price your property competitively. Because there are so many similar properties and weeks on the resale market, the differentiating factor is price. We encourage our customers to price their timeshares for resale at the fair market value, because this gives them the greatest chance of success. If you are unsure what your timeshare is worth, we offer a timeshare resale value survey. If you are in need of cash immediately to cover maintenance fees or other expenses, we also recommend renting out your timeshare week. There ARE buyers out there. Years ago many new buyers were unaware that the secondary market existed. The good news is that with companies like SellMyTimeshareNow.com and ARDA (the American Resort Development Association) spreading the word, buyers know they can find great savings by purchasing time share resales by owner. Why would they buy from the resort when they could save as much as 70% for the same resort, unit and week? While no one can guarantee your resale timeshare will sell, we can tell you that the current market is filled with buyers: our website is proof of that. 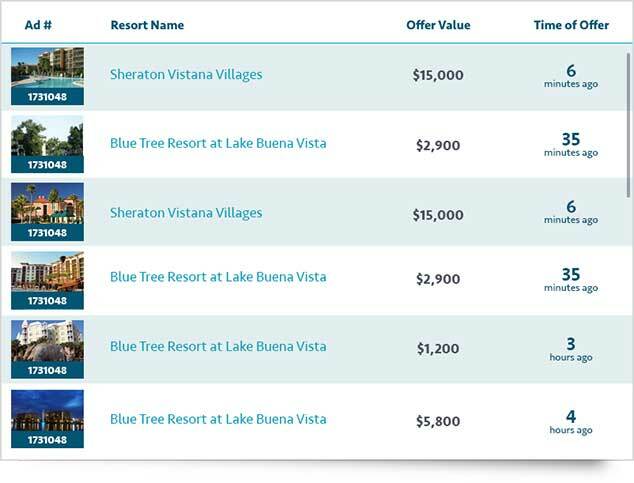 For three consecutive years, we have delivered an average of $1 million in inquiries to owners each day, representing thousands of offers to buy timeshares advertised with us daily. See our live offer feed to see the latest offers made on timeshares advertised with us. Not every offer turns into a sale, but many owners have found success using our platform when they price their properties correctly. Unfortunately, there are timeshare resale scams of which to be wary. With so many owners desperately needing to sell their timeshares, it created an environment in which illegitimate companies were able to swindle hundreds of thousands of dollars from owners. There are many timeshare resale scams - both past and present - however, the most common involve companies that claim to have a buyer waiting. Once they have hooked you, they will charge you a fee to appraise or transfer the property, but the sale never goes through. 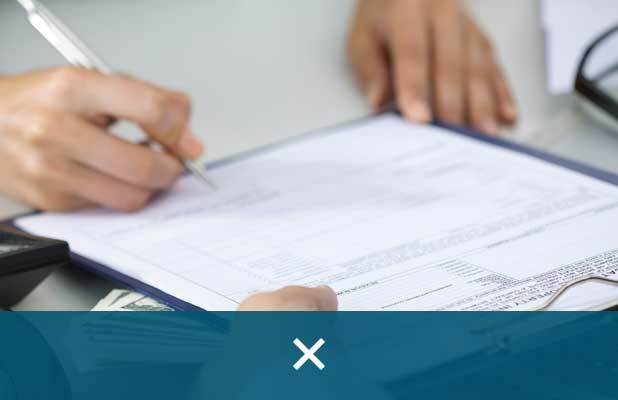 Another common scheme is to pose as a "relief company" and charge a fee to take your timeshare off your hands; similarly, the transfer of ownership never goes through and you remain responsible for the unwanted timeshare and fees. Do not pay for an appraisal. Do not pay any company that says they have a buyer waiting. If they truly have a buyer for your timeshare resale, there should be NO fees for you to pay, because the buyer will be responsible for all closing costs and transfer fees. Legitimate timeshare resale companies are not the enemy. Despite the number of scams out there, many resale companies strive to provide real, valuable services to timeshare owners and vacationers. 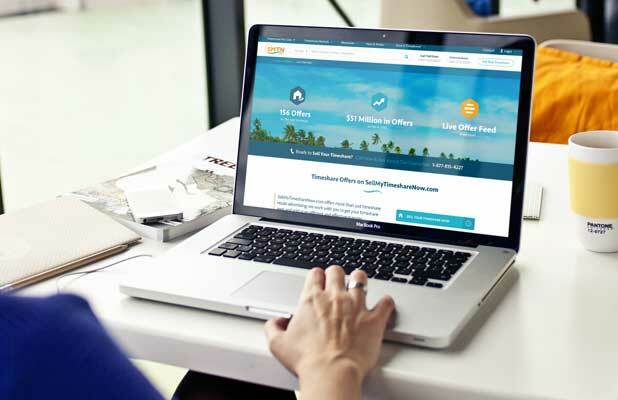 At SellMyTimeshareNow.com, we take pride in offering you affordable online advertising to help you sell or rent out your timeshare. There are no commissions and no recurring fees. If you sell, you keep all the proceeds from the resale of your timeshare. What's more, we are one part of a larger parent company (Vacation Innovations, LLC.) that offers a wide range of services for timeshare owners. If by-owner timeshare resales are not right for you, our affiliated timeshare resale broker division, Timeshare Broker Services, would be happy to assist you. Interested in learning more about how our services work? or view our in-depth seller guide.